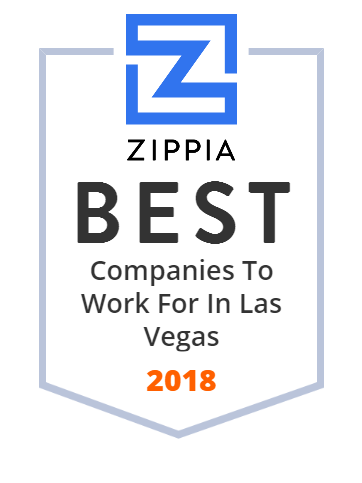 We hand-curated a list of the best companies to work for headquartered in and around Las Vegas, NV using data on salaries, company financial health, and employee diversity. Southwest Gas Corporation provides safe and reliable natural gas service to over two million customers in Arizona, Nevada, and California. Our employees know that becoming a Southwester isn't just a job, but the beginning of a rewarding career. The average tenure of employees at Southwest Gas is 15 years. Palms Casino Resort is internationally recognized for its exceptional accommodations, high-energy nightlife, extravagant pools and world-renowned restaurants,. Palms Casino Resort captures all the excitement and energy of Las Vegas in one vibrant setting. Situated on nearly 30 acres, Palms is a boutique property with three distinct towers. As a global leader in the gaming and lottery industries, Scientific Games' empowers their customers by creating the world's best gaming and lottery experiences. Their casino, interactive and instant lottery games are designed to reach players wherever they are and whenever they want to play. GES is more than just an event planning and marketing company. They are a boutique agency that delivers results, no matter where you are. They are a partner that strives to be the go-to resource for every exhibition, convention, or corporate event. Their turn-key solutions guide you through every aspect of your event, from logistics and strategy to technical support. Las Vegas Sands is the pre-eminent developer and operator of world-class Integrated Resorts that feature luxury hotels; best-in-class gaming; retail; dining and entertainment; Meetings, Incentive, Convention and Exhibition (MICE) facilities; and many other business and leisure amenities. They pioneered the MICE-driven Integrated Resort. Rimini Street is the global leader in providing third-party enterprise software support services to over 1,580 active clients. They enable licensees of Oracle, SAP, IBM, Microsoft and other enterprise software to enjoy ultra-responsive support, save up to 90 percent on total support costs and free up funds to drive innovation. IGT's integrated portfolio of technology, products, and services, including its best-in-class content, is shaping the future of the gaming industry by delivering the innovation that players want. IGT is the world's leading end-to-end gaming company. IGT attracts the industry's top talent, with more than 12,000 employees across the globe. Founded in 2000 and headquartered in Las Vegas, Nevada, Switch is built on the intelligent and sustainable growth of the Internet. Its Founder and CEO, Rob Roy, developed more than 500 issued and pending patent claims covering data center designs that manifested into their world-renowned data centers and their technology solution ecosystems. Las Vegas, officially the City of Las Vegas and often known simply as Vegas, is the 28th-most populated city in the United States, the most populated city in the state of Nevada, and the county seat of Clark County. Allegiant Air is an American discount airline that operates scheduled and charter flights. MGM Resorts International is a global entertainment company with national and international locations featuring best-in-class hotels and casinos, state-of-the-art meetings and conference spaces, incredible live and theatrical entertainment experiences, and an extensive array of restaurant, nightlife and retail offerings. Wynn Las Vegas, often simply referred to as Wynn, is a luxury resort and casino located on the Las Vegas Strip in Paradise, Nevada. Golden Entertainment is a gaming company based in Enterprise, Nevada that operates casinos, taverns, and slot routes. Learning Tree is committed to providing practical training to IT professionals and managers worldwide through instructor-led intensive short-courses. Our mission is to deliver skills and knowledge that significantly increase our course participants' on-the-job productivity, thereby enhancing their contributions to the goals of their organization. Our expert instructors provide our participants with real-world conceptual knowledge and practical skills that are reinforced and deepened through extensive in-class hands-on exercises. We judge our success by the extent to which our customers perceive that Learning Tree has made a significant difference in their organization's performance. Clark County is located in the US state of Nevada.